Hyundai USA is marking its first years as official NFL sponsor with four commercials run during the Super Bowl 50 game. 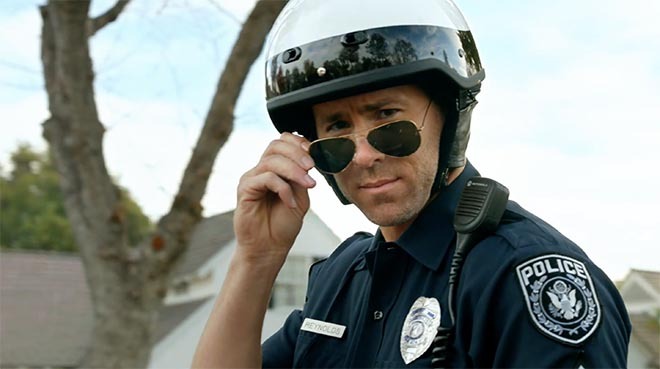 with four entertaining ads set to run on Super Bowl Sunday. Hyundai will run a 60-second ad in the pre-kick time slot, two 30-second ads during the game and a 60-second ad during the pre-game show. With help from A-list celebrities Kevin Hart and Ryan Reynolds, Hyundai will highlight the safety, technology and convenience features of its all-new 2017 Elantra and premium 2016 Genesis sedan. Hyundai will build on the creative digitally with heavy social media activity that will drive additional anticipation and awareness of the Super Bowl spots. “Ryanville,” the second 30-second in-game spot, slated for the second quarter, takes a lighthearted look at the simple fact that all humans are prone to distraction. Highlighting the advanced safety features on the all-new Elantra, the ad tests the ability of two women to keep their eyes on the road while driving through the most distracting neighborhood ever. “The Chase,” a 30-second in-game spot running in the first quarter, highlights the convenience of Hyundai’s voice-activated Blue Link Remote Start feature on the all-new Elantra. Viewers will see that this feature can truly be a lifesaver. “First Date,” a 60-second ad that will air during the coveted pre-kick time slot, features Kevin Hart and highlights one of the incredible technology features of Hyundai’s premium Genesis sedan. With the help of his Hyundai Blue Link Car Finder feature, Kevin does what every dad in America will envy to ensure his daughter gets home safely. So far we have two teasers. Hyundai’s 60-second pre-game spot, titled “Better,” follows the life of a boy from birth through to adulthood as he strives to make the world a better place. It is the first ad in Hyundai’s new branding campaign, which captures the company’s mission to make its vehicles and the entire consumer experience better. Through human-focused technology, distinctive design and uncompromising workmanship, Hyundai strives to make things better for drivers everywhere. The Hyundai Super Bowl 2015 commercials were produced at Innocean by chief creative officer Eric Springer, group creative director Barney Goldberg, creative director Bob Rayburn, art director/creative director Shane Diver and copywriter/creative director Max Godsil (Ryanville), copywriter/associate creative director Nick Flora, art directors/associate creative directors David Mesfin and Chris Lynch (The Chase) director of integrated production Carol Lombard, executive producers Nicolette Spencer (Ryanville) and Brandon Boerner (The Chase), producers Jimmy Romero (Ryanville) and Melissa Moore (The Chase) head of account services Marisstella Marinkovic, group account directors Michelle Agnew and Nicole Timerson, account supervisor Allison Morrissey, media team Ben Gogley and James Zayti, head of strategy Frank Striefler, planning director Kathleen Kindle, project manager Suzanne Cheng, business affairs manager Lisa Nichols, working with Hyundai chief marketing officer Dean Evans and senior manager advertising Monique Kumpis. Ryanville and First Date were shot by Peter Berg via Pony Show Entertainment. The Chase was directed by Aaron Stoller via Biscuit Filmworks. Better was directed by Fredrik Bond of MJZ Productions.